The forecast for last week was more or less right – there was a serious amount of rain with roads in La Laguna being flooded whilst parts of the south coast watched a wall of rain approach from the sea. It was quite a bizarre storm which had a clear centre so that the extreme islands had lots of water dropped on them whilst parts of the islands in the centre of the Canarian Archipelago enjoyed hot temperatures and blue skies. The swirling pattern also meant the southern tips of Tenerife and Gran Canaria were affected more than their north coasts. There might not have been the same amount of rain along Tenerife’s north coast but 5m waves battered it badly. By the second half of the week the sea was calm and the weather beautiful. 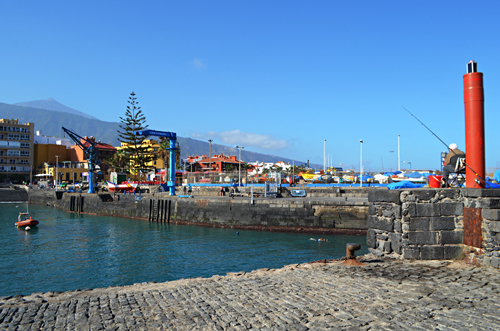 Although on Sunday whilst the north coast was under a blanket of cloud, La Laguna and Santa Cruz were sizzling. Whenever I read comments which say things like ‘I’ve been coming to Tenerife in November for years and never seen rain’ I automatically think ‘you’ve been bloody lucky’. The forecast for the coming week is exactly the sort of forecast we expect at some point in November. There should be a lot of sun during the first half of the week but a storm in the North Atlantic passing to the west of the archipelago will bring unstable weather from Wednesday night which means temperatures will drop slightly and rain which will probably affect everywhere on the island over the weekend. I say probably because the path of these Atlantic storms can shift which can result in changes to the forecast. 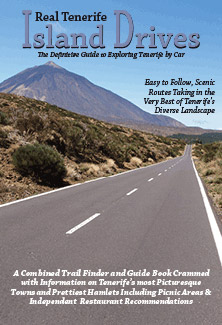 Once again it looks like there will be snow on Teide this week. 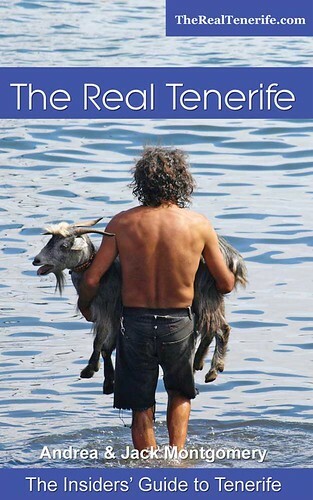 Weather in South Tenerife – A hot and sunny start to the week, although there will be some cloud most days. The weekend could see rain (85% possibility between Friday and Sunday) but there should still be sunshine. The week starts with shade temperatures of around 27/28C before dropping slightly 25/27C until the weekend when there’s another slight drop 23/24C. 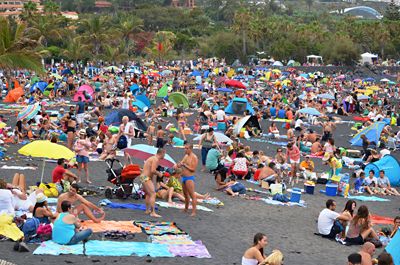 Weather in North Tenerife – It looks like there will be more cloud than sun in parts of the north of Tenerife with Tuesday afternoon to Thursday being particularly grey and a strong chance of rain from Wednesday afternoon (60%) through to the weekend when rain is certain (100%). Shade temperatures could stay around 21/22C all week. 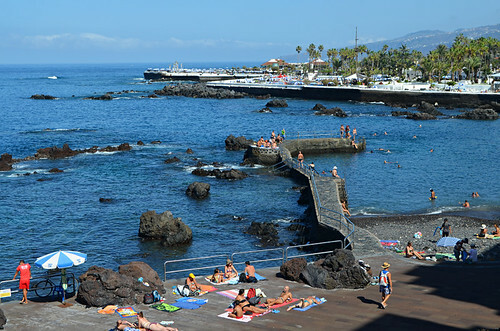 Weather in East Tenerife – The outlook for Santa Cruz is quite promising with plenty of sunshine and only Thursday looking like a fay when cloud completely dominates. Like everywhere else the possibility of rain rises as the week progresses with definite downpours over the weekend. Temperatures should stay around 21/23C all week. 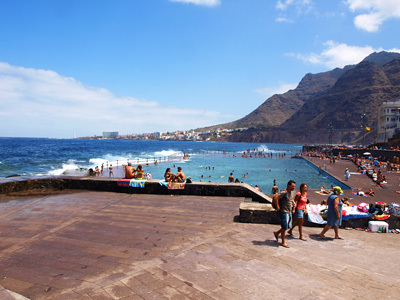 Weather in South West Tenerife – The south west mostly mirrors the south with plenty of sunny spells but also a decent amount of cloud especially in the second half of the week when rain looks unavoidable (85%). Perfect at the start of the week at around 25C, there could be a drop to around 20/23C from Thursday onwards. 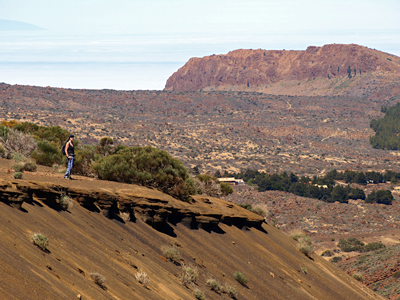 Weather in the Mount Teide Crater – It could be another mixed week in Teide National Park with a mix of sun and cloud until Thursday and then rain, thunder and lightning through to the end of the week. On the summit of Mount Teide the pattern is much the same except instead of rain it could be more snow from Wednesday night through to the weekend. 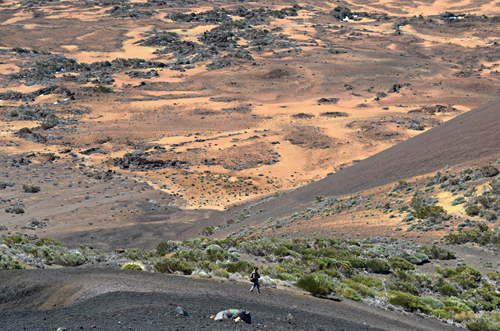 Temperatures should hover between 9 and 12C in the crater and -3 and 3C on the peak of Mount Teide. 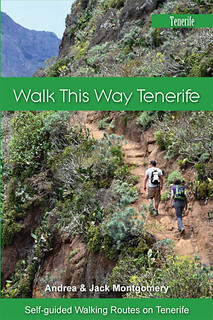 Monday could see high winds affecting the cable car whilst the snow and rain could prevent it from running from Thursday, so check before travelling to Teide National Park this week. So what happened this time last year? We don’t know as we spent most of October walking in the Black Forest before heading to Britain for the World Travel Market. Pic: Despite the weather alerts there were hot, sunny days last week.